Solana Beach short sales are full of surprises. Like any short sales you’re going to be enticed to buy right away. 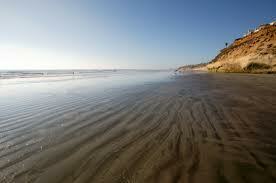 I mean, this is Solana Beach, after all. The homes here are gorgeous. The neighborhoods are inviting and well taken care of. The prices of these short sales are (cue guitar riff) totally rad, man! But stop. Put on the brakes. Halt the march toward the bank to make your offer. These are still short sales. Which means that the price you see will not be the price you pay. Short Sales are always priced to entice. You like that? I can’t help it. I love to rhyme. When I say “price to entice” what I mean is that at first glance you’re getting a lot for much less than you would think possible. The reason for that? The owners of the house are underwater. They purchased the home for one price and since then their home has lost it’s value. Which means that the mortgage their paying in no way reflects the price they can actually get for the home. See, they know they’re going to take a bath and even worse, so does the bank. So, like all short sales, Solana Beach Short Sales come equipped with some headaches. The first thing you need to know if you fall in love with a short sale home is that this process can take time. Now, you might ask “Why?” Here’s the thing. You’re not the only one in love with this house. I know that’s hard to hear. Nobody likes to know they’re being cheated on. You see, the price for these homes often attract a number of buyers. So you’re not just waiting for the owners and bank to agree on a terrible price that neither wants to take, you’re competing for the love and affection of your Solana Beach Short Sale. Now, this all sounds bad. Sounds like too much really. And who can blame you? But here I am to take those concerns and wipe them all away. How? 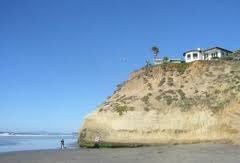 With OpenOffer.com you can purchase a Short Sale in Solana Beach or any city for that matter with zero headaches. See, OpenOffer takes the negotiating process (AKA the wirst part of buying a home) and does it all for you. All you have to do is sit back, wait and eventually turn the key to your new home in Solana Beach. Log on today.